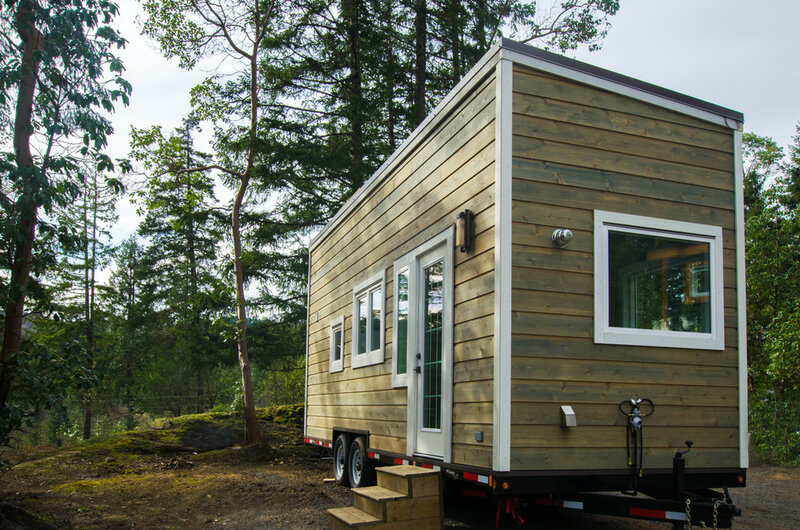 Finding a place to park your tiny home can be challenging but the good news is there are more and more individuals and municipalities getting on board. Check out some current available listings here. *While we do our best to keep our listings page up to date, sometimes ads are filled or taken down before we notice. If you find a link expired or not working please let us know. These listings are not affiliated with Rewild Homes Ltd in any way. Do you own a tiny bit of land? Tiny enough for a tiny home? Whether you're looking to make a bit of extra cash, need an extra set of hands around the farm, or looking to pick your own neighbours, we want to help you find the perfect people! Please provide us with information about your property for your listing (i.e. location, cost to rent, is there access to water, power or septic, work-live options, etc). Looking for a quiet respectful person with a tiny home. Septic, water and 40 amp power hook up available. $550/month plus utilities. Available starting March 8th, 2019. Please contact Brian for more details. Long term tiny home tenants are leaving at the end of April and our private, sunny, tree’d site (with power, water, septic) will be available May 1. In a rural setting, near the Cheakamus River, 15 minutes from Squamish in Paradise Valley, BC, 45 mins to Whistler, 45 mins to Vancouver. Preference given to Tiny Home, but will consider 5th wheel. Contact Jenny here for more details. Pad rental across from Kinsol trestle in the beautiful community of Shawnigan Lake. If you love the outdoors, this is a perfect location for you! Located on 3.1 acre beautiful property with approximately 700 meters of lit walking trails and scenic ponds. Has power, water and wifi. Sewer hook up is optional. Looking for a longterm rental starting October 2019. Multiple pads may be available. Contact Mike here for more information. Space available for tiny home. Located in a beautiful forest setting, private, quiet and secure property in Cobble Hill. Water, power, sewer and wifi available depending on your needs. Looking for working couples or individuals. No pets. No smoking (anything). No partying. 8 acres of mixed landscape including 2 ponds, fields and forests. There is even a separate road/driveway for you to use. Would prefer a self contained off-grid tenant, but are open to options. We may be willing to allow some labour in exchange for partial rent. Dozens of acres in a beautiful location. Power Hookup, Water, Composting toilet and Internet could be negotiated. Looking for someone to rent a place for their tiny home. Very quiet area, off-grid, no electric, or well. A cistern would be used, a septic tank could be installed. Rental rates can be discussed. If you have a tiny home we have the property on the water in Sooke. It is off grid and offers no services. Looking for a quiet respectful person with a tiny home. Septic, water and 40 amp power hook up available. $600/month plus utilities. Located in private rural south Nanaimo. Land for lease for tiny home. Half acre or more with lease agreement. There are no utilities but could install septic system, water tank or well and generator for power. Situated close to Argyle Street in a private setting of land and trees. Waterfront pad on the sunny side of the lake, approximately 60' from the beach. Moorage is included. Hydro, cable, internet, water and sewer available. 12 month term available. Property owner has space available for lease. Will consider tiny home owners on monthly bases. Many trails and parks nearby. Full hookup sites available, as well as spots with only power and water for those seeking a semi off-grid lifestyle. Paid showers and laundry also available. Grocery store, medical clinic, pharmacy, liquor store and coffee shop only 10 minutes away. Well behaved pets allowed. Please contact Ryan Godard here for serious inquiries. Space available for tiny home or RV. Located in a beautiful forest setting, private, quiet and secure property in Cobble Hill. We can provide water, power sewer and wifi depending on your needs. Looking for working couples or individuals. No pets. No smoking (anything). No partying. Interested? RV pad on for rent. Located 7 kms west of Duncan on 5 acres. Very quiet and private setting suitable for people over 40 who want to live a quiet lifestyle and are respectful of other peoples property. Water, sewer and power (if you are using propane heat) included. Wifi available. Would prefer no pets but willing to discuss depending on your pet. Sunshine Valley Developments Ltd. is pleased to announce upgraded building/design guidelines on lots in its' latest flexible Village, Huckleberry West. Sunshine Valley is only 15 minutes East of Hope, BC on Hwy 3 and less than 2 hours from Vancouver, BC. Imagine a place where you can retreat from the fast pace of everyday life, a place surrounded by mountains, a place to relax and recharge at your own pace. 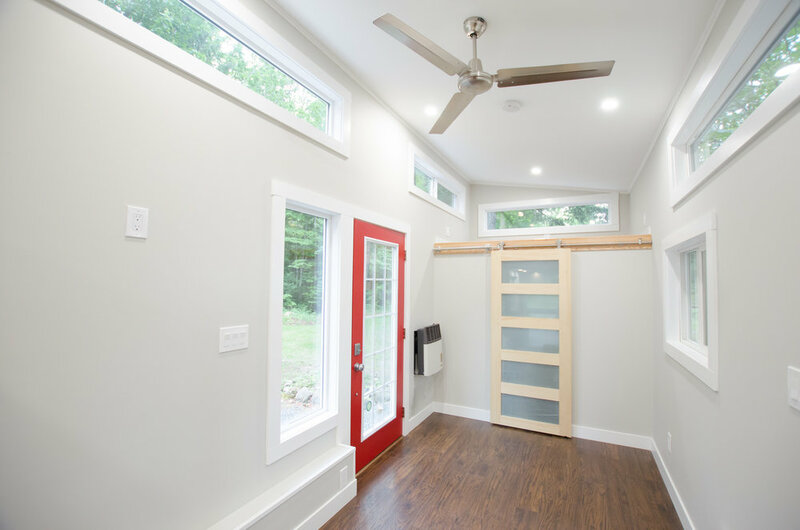 Serviced AFFORDABLE Building Lots with flexible building/design guidelines allowing Tiny Homes, Prefab Homes, Cabins or Homes of 1300 sq ft or LESS are available now. No Minimum sq ft requirement for your home. Build or place the size you want (based on Developer Design/Building Guidelines.) Tiny Homes on Wheels are welcome! Located 5 minutes from the Sooke core. Access to power, water, sewer, internet and lawn. Looking for respectful tenants. $500 to $650 depending on requirements. Upon securing a tenant, a gravel or concrete pad will be installed, as there are several locations on the property that could work depending on required services and size of house. Please contact Noah here for more information. Looking for a couple interested in organic farming and a homestead lifestyle. Site could be prepped with power and water for suitable tenant. Composting or incinerating toilet required. Looking to set up a work exchange agreement. Plenty of space for your own garden and animals. Please contact the land owner, Andrew, for serious inquires here. A home for you tiny home! The space is located near the marine district of Sidney, near great schools and lots of amenities. Room for approximately 30ft trailer or tiny home including full hookup and services. A great site for your self contained trailer or tiny home. Power and water included - propane or wood heat only. Great spot for the right tenant, on a 3 acre hobby farm. Available Dec 1. 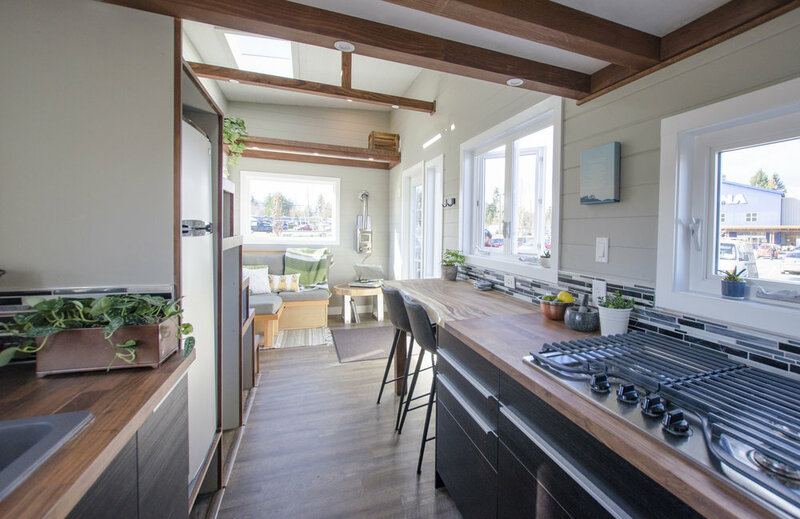 New spots for Rv or Tiny Homes in central Saanich. Please respond to ad with: full name, contact information and the size of your unit. The property has 6 gravel pads which all have water and septic connections. Electricity will need to be self generated as the community is off grid. Curb side garbage, green waste and recycling collection is provided by the regional district. Accepting residents starting November 1st 2018. Pad Fee: $400.00 per month - this includes: 12'x30' gravel pad, water connection, septic connection, designated land for garden or outdoor living space. Read more about the community here. For serious inquires please contact community leader, Gareth Wheatley, here. Upcoming spots for tiny homes In Royal Oak area. If you’re interested please respond with information about your tiny home and contact information. Short term lease available for quiet tenant. Are you looking for a beautiful off grid location to park your tiny home? Seeking a great individual or couple to share a beautiful 5 acre property. No access to public utilities, must dispose of your own garbage and recycling responsibly. Well behaved pets considered. Space for rent on lake view acreage in Kelowna. Access to water, power and septic. Rental is dependent on ability to contribute to property maintenance and/or farmsitting. Possible horse lease available. Please contact the land owner directly here. Have you been looking for a place to really make your own, somewhere you can build your dream home, or have a tiny home or Yurt? May be you want a place where you can get away from it all and have a vacation home? Your search may be over when you come and view this delightful 3.3 acre property located in beautiful Passmore, just 25 minutes from Castlegar and Nelson. I have one site available immediately, there are 5 sites in total. We are mostly singles, most work full time and appreciate coming home to the natural surroundings and rural property that we reside on. We are surrounded by forest, peace and quiet are of utmost importance.